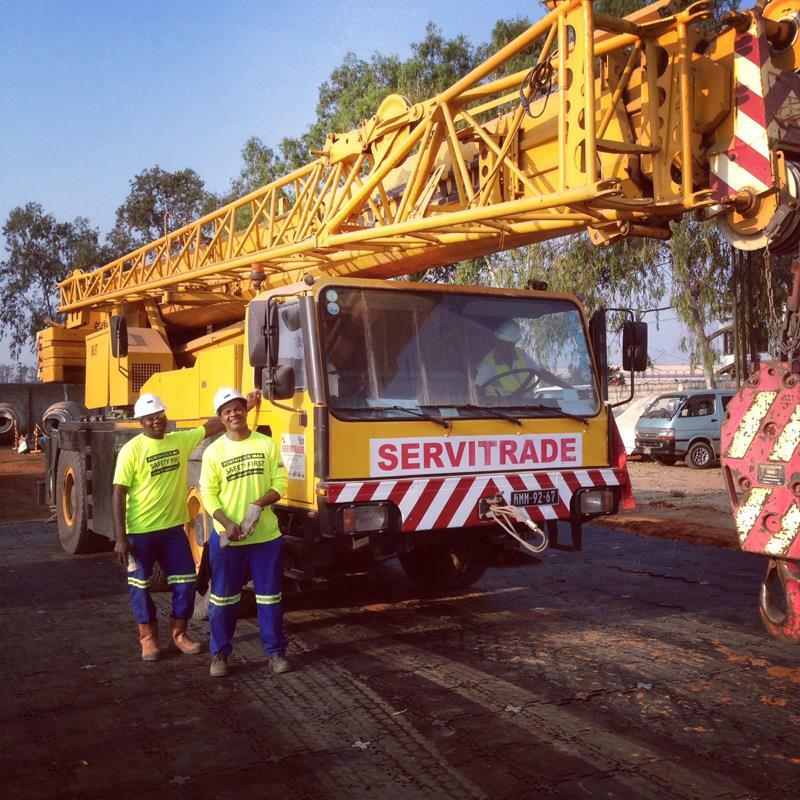 PortaFloor MAX was installed as a maintenance and sales demo pad in the leading heavy equipment rental company is Mozambique. MAX will allow the company to complete outside service maintenance work of the rental fleet and allow customers the ability to see the benefits of MAX in action. . 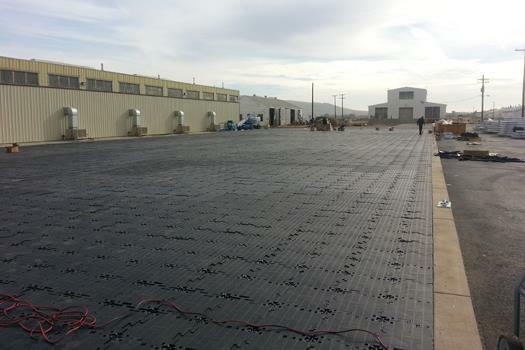 The California National Guard needed a cost effective heavy duty flooring system that could withstand the loads of the equipment needed to house in their new permanent storage facility. 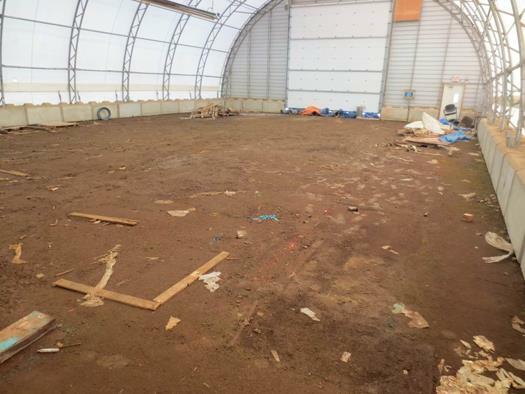 PortaFloor MAX was installed within one day vs. a few weeks if they would have poured a concrete pad inside the facility. PortaFloor worked with Shell Oil and one of their on site engineers to provide a solution for a key equipment structures. Shell was looking for a heavy duty structure flooring solution that could replace concrete and reduce their installation and logistics costs. After several tests, PortaFloor MAX in a custom color was chosen as the best solution over the other flooring and matting systems that were tested. 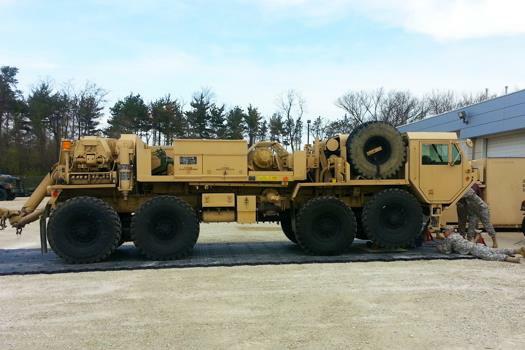 The US Military needed a lightweight, rollable solution that could stand up to heavy foot traffic, inclement weather and high rolling loads for there Forward Operating Bases. PORTAFLOOR PRO was sent to create a strong, stable surface. 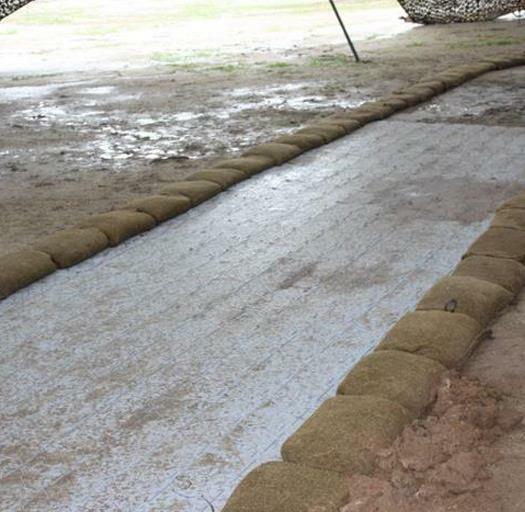 After installing PRO, FOB operations were able to continue despite inclement weather and mud seasons. The US Olympic Center in Park City, UT sought to create incremental revenue by hosting summer festivals and special events. Because the sub surface was dirt and rocks, the renting parties, meeting, or social groups could not achieve a consistent set up of their tables, chair & stages, therefore their rental business was limited. The center chose PORTAFLOOR PRO to create a strong, stable surface. In conjunction with the UAF BEAR Program, PORTAFLOOR PRO and a collection of other related temporary and portable products were combined to supply the UAF the necessary items to successfully meet the objective of providing portable kitchen units for the Air Base camps overseas. 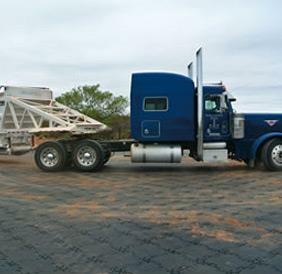 PORTAFLOOR's 'light and lean' features provided a winning advantage over heavier alternatives requiring tools and equipment to install. .
Tractor trailers with caliche material (MAX is slated as a replacement material) used to prep drilling sites in Texas, rolled over PortaFloor MAX. Over 150 trucks made the turn during the six week temporary need for a reusable road material that could be moved from site to site without expensive reclamation and recycling efforts. MAX reduced rutting from the constant traffic of the heavy trucks. 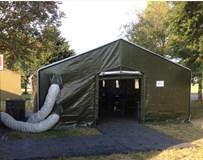 After a year of testing, the 416th Theater Engineer Command (USAR) has recognized the MAX flooring system as a deployable maintenance pad for their portable maintenance structures. Each area will be roughly 800 square feet and fit within a standard structure. 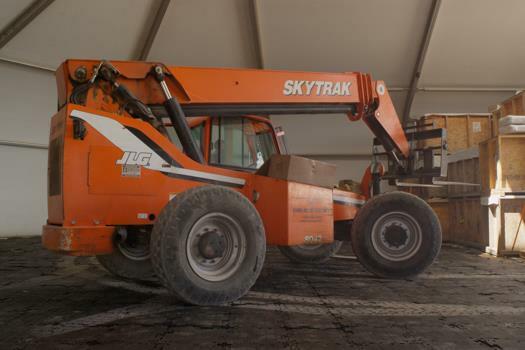 The floor has been tested using the 54,900 pound M984 HEMTT Wrecker and light-weight aircraft aluminum plates to reinforce the point load weight of the jack stands. PortaFloor MAX was recently installed inside a Sprung® structure as a heavy duty reusable flooring system for inventory storage versus a gravel sub-base. The floor easily contoured to the structure’s unique shape by including 6” wide cable-channeled MAX pieces that enabled a custom fit. MAX provided a firm stable surface for the rolling service doors. 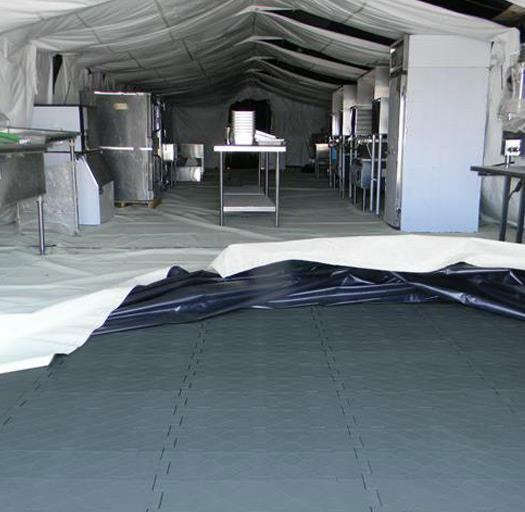 The Italian air force needed a safe, lightweight, stable and durable solution for a temporary mess hall and other tent structures at their base in northern Italy. PortaFloor MAX was the perfect solution that met their needs. 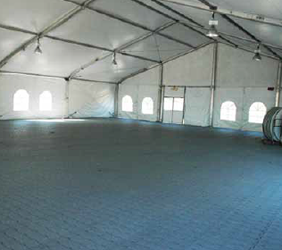 In addition to tent flooring, MAX was used for walkways, temporary access roadways and a flooring solution for temporary storage facilities.